Like all New Year’s resolutions, sticking to a marketing strategy requires dedicated commitment. Moreover, just like your gym membership, strategic marketing can be one of the first resolutions to get thrown out of the door when workloads increase. However, research has shown that creating habits out of processes yields results. By creating a streamlined process around your marketing calendar, you create a habit. If the process is easy enough, the habit will form quickly. The keys to creating a habit are to define the goal, keep it simple and stay focused. If you are considering a content marketing calendar, you have either started creating and sharing content randomly — through social media, email and publishing sources — or you are ready to start and you want to maximize your time. Either way, start with a goal. This goal can be anything from increasing brand awareness to lead generation. The most important part is to be clear in defining the goal and keeping it simple. Content marketing calendars have evolved with the explosion of creative and time management resources over the last several years. They range from highly intricate calendars embedded in content management systems to a simple Excel spreadsheets. Excel is perfect if you are just starting out. You are likely familiar with the platform and it is user-friendly. 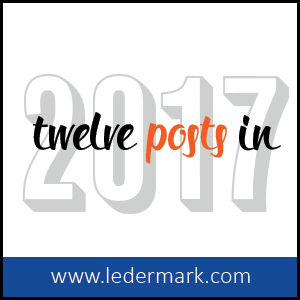 These eight columns will keep you focused and organized as you begin thinking about the information you want to share. Title – What is the article or image about? What topics are relevant to the reader? How can your view help make your reader’s life better/easier/richer? Target Audience – Who will benefit from reading/seeing this? Bob, the accountant, is not reading this post during tax time, but Executive Vice President Sue is planning her business development efforts for the year, and is looking for ways to make her life better/easier/richer. Author – Who is doing the work? Likely you, but you may have a partner or a third-party writer working with you to ease the load. Format – Is this written blog text or a graphic? Long-form text is great for newsletters, blog posts and LinkedIn. Graphics (like infographics) are perfect for Facebook and Pinterest. Publication Date – When will this be published? First thing Monday morning? Wednesday late afternoon? End of the week during lunch? Consider timing when publishing; when will your audience be looking for information? Platform – What platform are you publishing in; newsletter, LinkedIn, Facebook, Instagram, etc. Resources – What imagery, extra links or files accompany the text? What imagery or resources help convey your information? Can you support your comments or provide additional value with the addition of hyperlinks to other relevant content? Keywords – What are the key words your audience will search for in the text?? This is essential for on-page search engine optimization (SEO), and will help your content be found more quickly. As you complete the topics and assignments, aim to post one item a month to start. You are busy. You have clients who need your attention. There is the normal ebb and flow of your work week and one solid post a month is a great start. That’s only 12 ideas in your spreadsheet! Achievable! Start with the title column. For inspiration consider the questions your clients regularly ask. Is there industry news that your clients would benefit from? What information do you wish your clients would consider? Is there an in-depth topic that your peers regularly seek your counsel? The most important ideas are not about you. They are about the reader. The reader does not care about you… yet. Regularly, provide value and they will! Once you have your titles, move through the columns one by one. By the time you reach the keyword column, you have the solid basis of an outline for your content. Now just fill in the blanks! Creating new habits can be hard. To help make this process even easier, select a quiet time to flesh out your outline such as during a time of the month that may be consistently slow. Maybe, the fourth Friday afternoon of the month from 3:00 to 4:00 is slow as everyone is getting ready for the weekend and clients are less likely to call. Or, schedule an entire day to crank out three or four at a time? The important part is to make the commitment to DO it. Like all habits, over time, the doing will become easier and more efficient. That’s when — just like with your new gym habit— you will see the rewards of sticking with it.